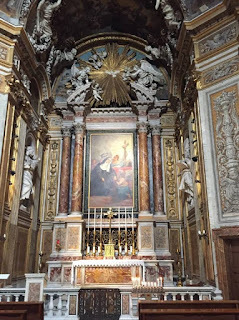 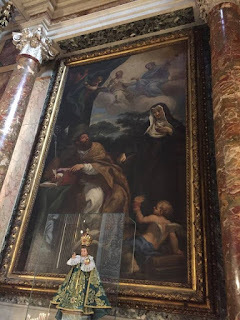 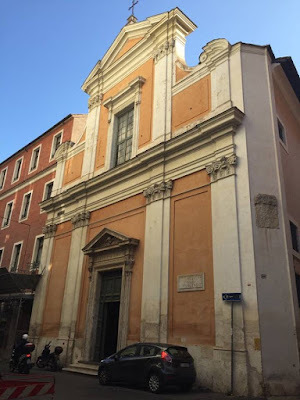 Santa Rita delle Vergini is a 17th century Baroque church dedicated to Santa Rita of Cascia. 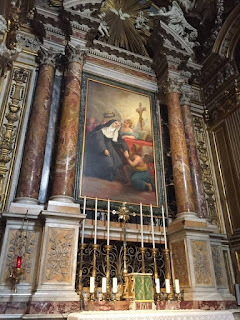 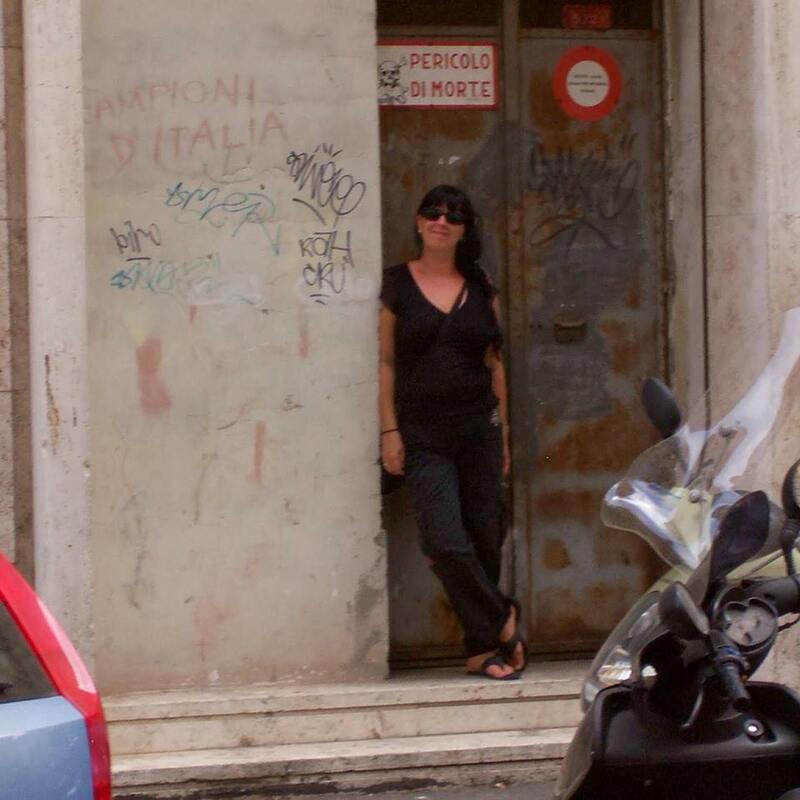 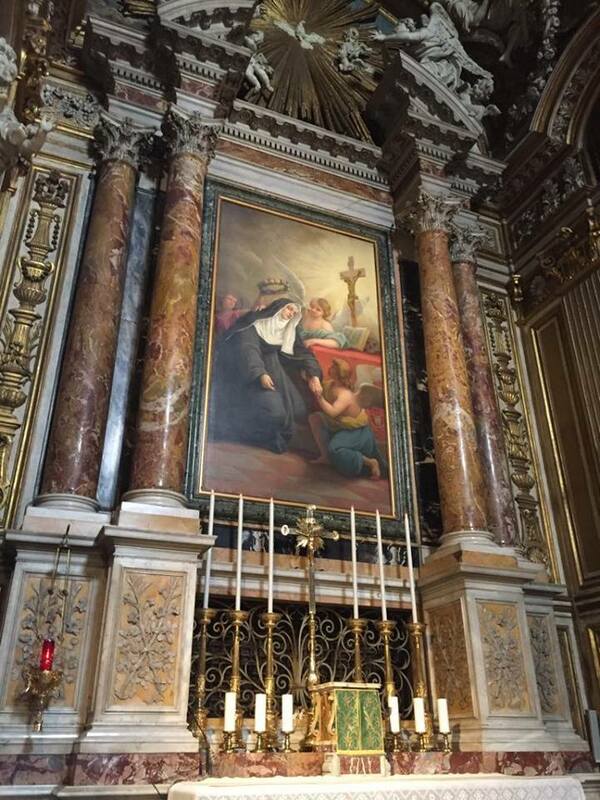 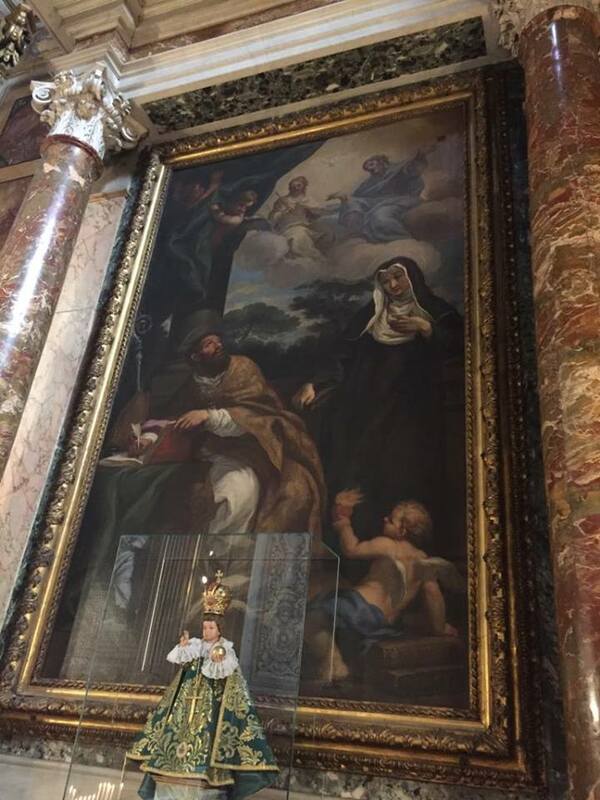 It was connected to the monastery of Saint Mary of the Virgins whose nuns provided hospital care for poor, unmarried women and unwanted and orphaned children. The interior is richly decorated with gilt stucco swags of flowers, foliage and putti, marbles and paintings. 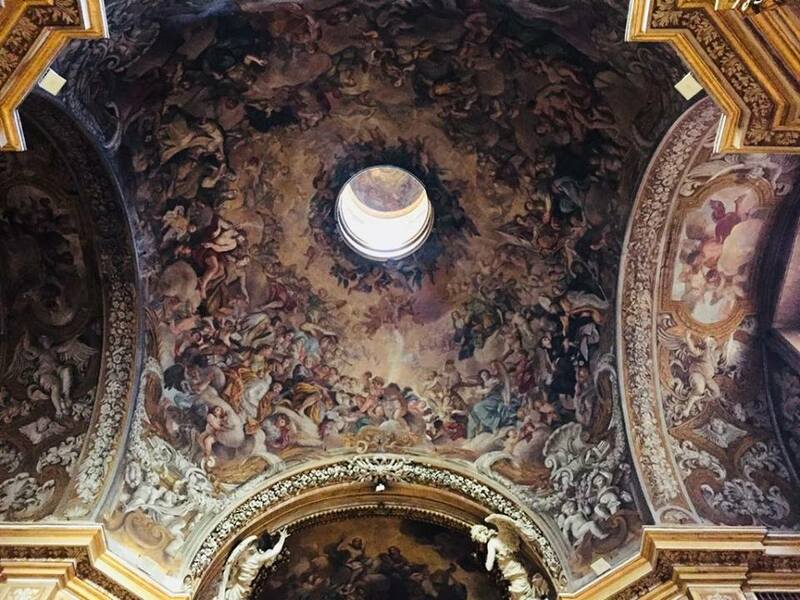 The ceiling fresco in the dome dates to 1695 and show the Glory of Heaven.